Ernest Clegg: Northern Ireland. 44 x 57cms. Published by Countryman 1947. Immediately post-war map showing places of interest, products and places which had war connections in the country. Category: Maps. 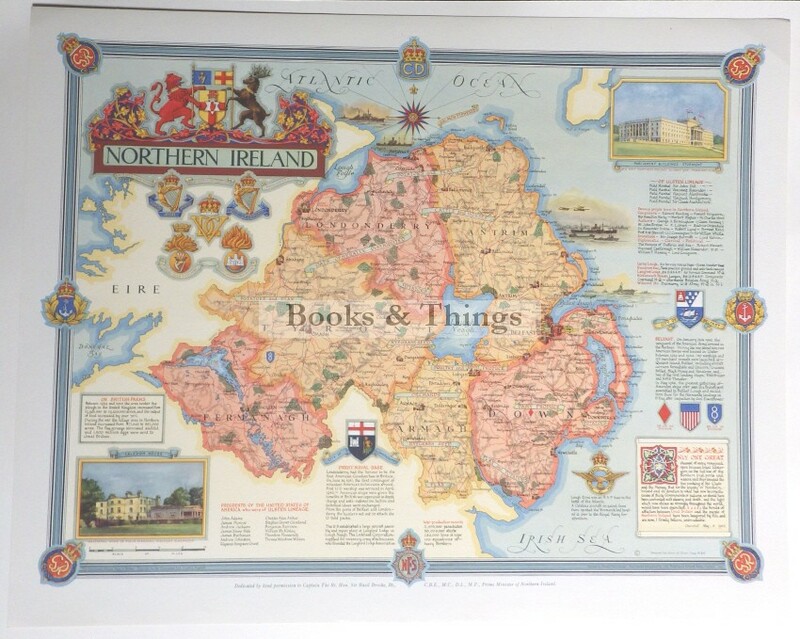 Tag: Ernest Clegg map of Northern Ireland.